This time around Spice promises to not bring as much drama as before however she cant Guarantee no Drama. In fact this time around Spice says she will be looking to put some spotlight on the whole Colourism issue, then promo dancehall, her self, where she’s from and what the dancehall queen is all about about. Last season Spice had a number of on-screen spats with cast mates, which added to the drama that the series has become famous for since the first time it was aired several years ago in June 2012. 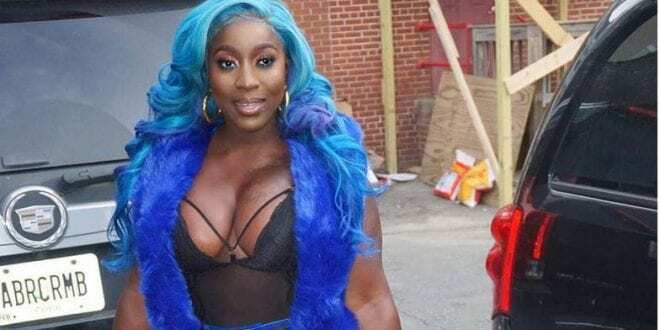 The Jamaican dancehall superstar who said she had outgrown her country, had stated publicly that she wanted to use her appearance in “Love and Hip Hop: Atlanta” to boost her music career as the series is dedicated to exposing emerging talent and she wanted to reach a wider market with her music. The VH1 crew was in Trinidad and Tobago on Monday to record footage of Spice as she performed at Machel Montano’s Annual Concert, “Machel Monday”. It is the biggest show of the Carnival season. Spice recently released 2 music videos for the same song “Genie” which as rocked up Millions of views on youtube. In a pre lineup release Reggae Sumfest organizers announce the artistes that are currently booked to perform at Sumfest this year, the list includes Govana, Jah9, Protoje, Spice, Spraggabenz, Tarrus Riley, Elephant Man, Munga, Chronic Law and Shauna Chyn with more top tear artistes expected to be added soon.